SLC30A8 encodes the secretory granule-resident and largely endocrine pancreas-restricted zinc transporter ZnT8. Interest in this gene product was sparked amongst diabetologists in 2007 when the first genome-wide association study for type 2 diabetes identified polymorphisms in SLC30A8 as affecting disease risk. Thus, the common polymorphism rs13266634 was associated with lowered beta cell function and a 14% increase in diabetes abundance per risk (C) allele. This non-synonymous variant encodes a tryptophan-to-arginine switch at position 325 in the protein’s intracellular carboxy-terminal domain, resulting in reduced zinc transport activity and, consequently, decreased intragranular zinc levels. 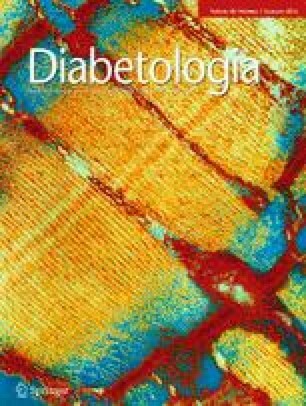 Whereas insulin secretion from isolated islets is most often increased in mice inactivated for Slc30a8, null animals usually show impaired glucose tolerance and lowered circulating insulin. Since Slc30a8 null animals display little, if any, zinc secretion from islets, the lower plasma insulin levels could be explained by increased hepatic clearance as a result of lowered local zinc levels, or less efficient insulin action on target tissues. Despite the emerging consensus on the role of ZnT8 in glucose homeostasis, a recent genetic study in humans has unexpectedly identified loss-of-function SLC30A8 mutants that are associated with protection from diabetes. Here, we attempt to reconcile these apparently contradictory findings, implicating (1) differing degrees of inhibition of ZnT8 activity in carriers of common variants vs rare loss-of-function forms, (2) effects dependent on age or hypoxic beta cell stress. We propose that these variables conspire to affect both the size and the direction of the effect of SLC30A8 risk alleles in man. We thank Professor Mark McCarthy (University of Oxford, UK) for useful discussion. GAR thanks the MRC (UK) for Programme grant MR/J0003042/1, the BBSRC (UK) for a Project grant (BB/J015873/1) the Royal Society for a Wolfson Research Merit Award and the Wellcome Trust for a Senior Investigator Award (WT098424AIA). The work leading to this publication has received support from the Innovative Medicines Initiative Joint Undertaking under grant agreement n° 155005 (IMIDIA), resources of which are composed of financial contribution from the European Union’s Seventh Framework Programme (FP7/2007-2013) and EFPIA companies’ in kind contribution (to GAR). There is no duality of interest associated with this manuscript.